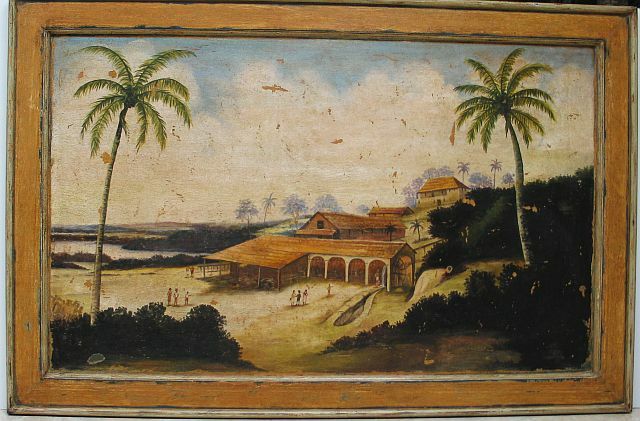 Naïve tropical scene of mill and workers in foreground. Oil on panel. Custom frame.